Personalized help is available by appointment for both online and in-person consultations. Call or email to schedule an appointment. As the Global Public Health Librarian, Mary provides consultation, training and research support for students, faculty and staff affiliated with the Gillings School of Global Public Health. She has held adjunct lecturer positions in health informatics at Johns Hopkins and Drexel Universities, and worked as a knowledge management librarian with the NC TraCS Institute. She has volunteered and worked in local and federal disaster response. Her research interests include public health, health communication, health behavior, global health, disaster management, mHealth/eHealth, and public health informatics. 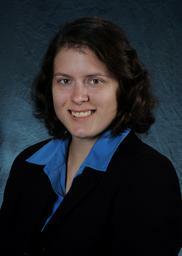 Mary is also a part-time doctoral student in the UNC-CH School of Information and Library Science. General research interests include: public health, health communication, health behavior, global health, disaster management, mHealth/eHealth, and public health informatics. Her doctoral research interests include: public health student education and information behavior, information search processes, and information use.